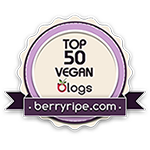 Today I am introducing a new feature for Vegan Mofo: my favorite omnivores will be sharing their favorite vegan recipes and dishes with you! First off, we have my good friend Alyssa from college, who writes at strawberrysorbet.com and has a lovely Etsy shop called Strawberry Sorbet (which features handmade and local gifts and accessories). 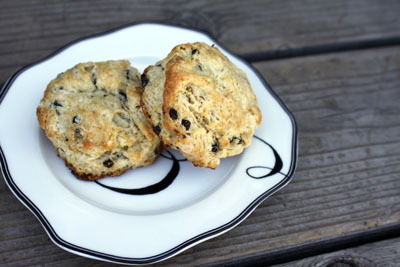 She has written about one of my very favorite foods: scones! 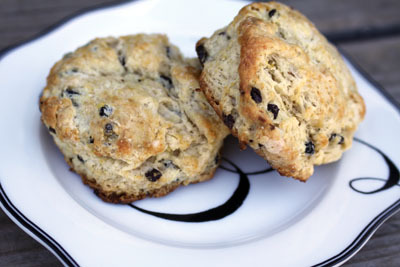 Breakfast is the highlight of my weekend and a particular favorite pastry is the scone. It’s perfect with a steaming cup of darkly brewed black tea. However, I have yet to find a recipe (vegan or otherwise) that I truly adore so the other day I decided to take the plunge and (gasp) make something up. The experiment was such a success! Several people tried these scones and had nothing but good things to say. The real challenge came when I sat down to record the recipe. Ummm....apparently I am not good at measuring ingredients very precisely but the following is my best attempt at re-creating. Don’t be afraid to err from the instructions and where possible I’ve included alternate suggestions. Mash the banana in a small bowl and mix in the milk, brown sugar, vanilla and lemon juice. 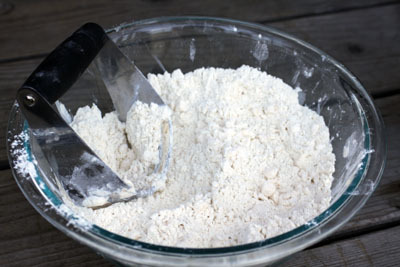 Turn it out onto a floured surface and knead for about 30 seconds. 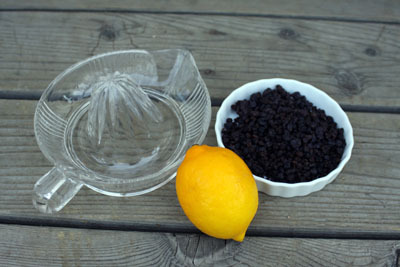 Pat into a ¾ inch round and either cut into wedges or circles. Bake for 15 minutes at 400' or until they are golden on top. Note: These are best served warm and can be accompanied by a butter spread and honey but are delicious on their own as well. The recipe makes about a dozen, depending on how thick you make your round of dough. Thank you so much for sharing your beautiful pictures and wonderful-sounding recipe, Alyssa! What a neat idea for a blog post. The scones look delicious. Thanks for sharing! These were perfect. I subbed in 15 drops lemon stevia for 1 tbsp sugar with hopes of also intensifying the lemon flavour. Yum!